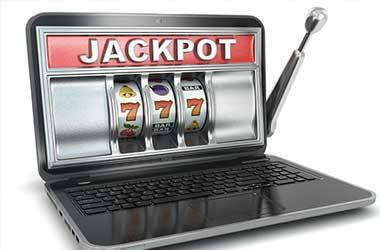 Spending some time away from the casino gaming floors and sitting down to watch a great gambling movie is one thing many gamblers enjoy doing. With this in mind we have taken a look at some of the very best gambling and casino related movies that have been released over the last few decades. 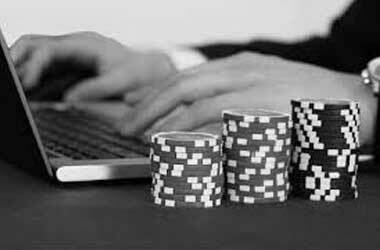 Below you will find out handpicked collection of the top 10 gambling and casino related movies and films, please do have a look through this list, for there may just come a time when you fancy watching one of these films! All of the films we have listed are still available and as such you should not have any difficulties getting hold of a DVD of any of them. We have included a very wide spectrum of films within this category of movie and are more than confident several of them should appeal to you. Some of the films are based on true events and real people which do make them rather interesting films, more so if you enjoy watching real life casino cheats and robber plying their trade. 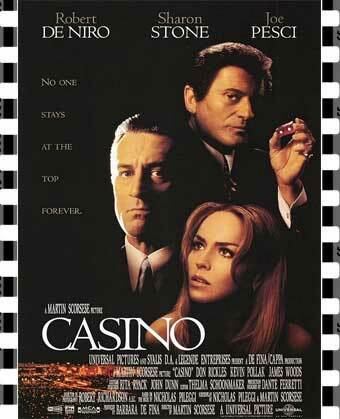 Probably the all time classic casino related movie was Casino. This blockbusting film went live across the world back in 1995 and told an unfolding story of two Las Vegas based mobster, one trying to build a respectable career and name in the gambling industry and the other obsessed with greed. Casino was directed by Martin Scorsese and the leading actors in Casino were Robert De Niro, Sharon Stone, Joe Pesci, James Woods and the film lasts a total of 178 minutes. The second best gambling related movie is Rounders. This film premiered in 1998, and tells a story of a man who having gave up gambling opts to return to playing poker in an attempt to help his very dear friend pay off money owed to loan sharks. 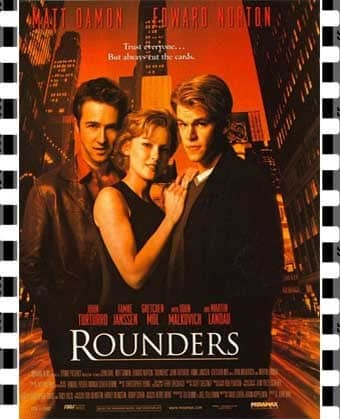 Rounders was directed by John Dahl and the leading actors include Matt Damon, Edward Norton, Gretchen Mol, John Malkovich and the film lasts 121 minutes. The third best gambling related movie is The Sting. This film premiered in 1973, and tells the story of a very young conman based in Chicago who is out to seek revenge of the death of his recently murdered partner. 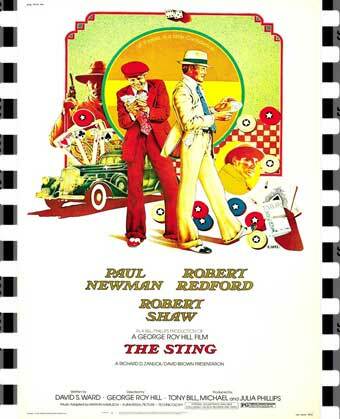 The Sting was directed by George Roy Hill and the leading actors include Paul Newman, Robert Redford, Robert Shaw, Charles Durning and the film lasts 129 minutes. 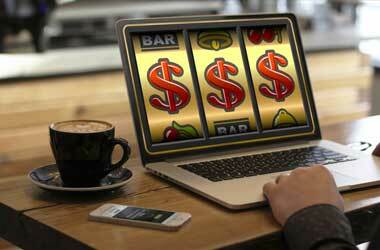 The fourth best gambling related movie is Ocean’s eleven. This film premiered in 2001, and tells the story of how a team of robbers plan and then execute three casinos based in Las Vegas all at the same time! 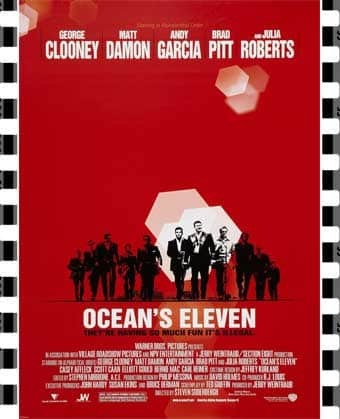 Ocean’s Eleven was directed by Steven Soderbergh and the leading actors include George Clooney, Brad Pitt, Julia Roberts, Matt Damon and the film lasts 116 minutes. The fifth best gambling related movie is High Roller: The Stu Ungar Story. This film premiered in 2003, and tells the true story of the life of a poker player, that being Stu Ungar. 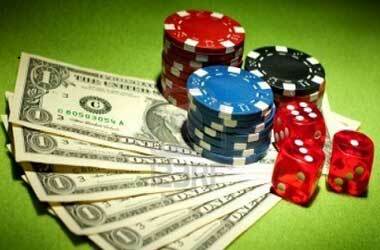 High Roller: The Stu Ungar Story was directed by A.W. 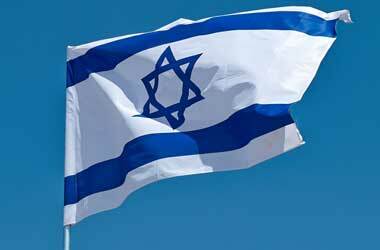 Vidmer and the leading actors include Al Bernstein, Andrew N.S. Glazer, Michael Imperioli, Brian Kaplan and the film lasts 120 minutes. 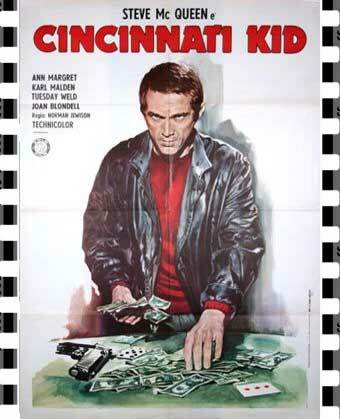 The sixth best gambling related movie is The Cincinnati Kid. This film premiered in 1965, and tells the story of young poker player out to make a name for in poker circles and take on and win a poker playing legend! The Cincinnati Kid was directed by Norman Jewison and the leading actors include Steve McQueen, Ann-Margret, Edward G. Robinson, Karl Malden and the film lasts 102 minutes. 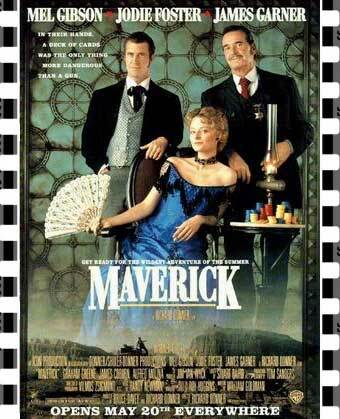 The seventh best gambling related movie is Maverick. 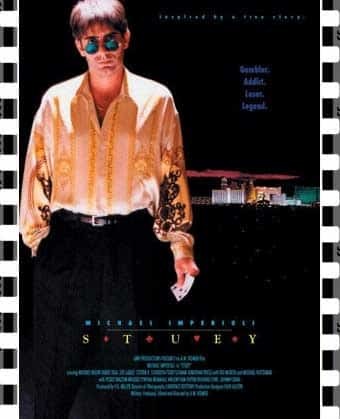 This film premiered in 1994, and tells the story of a poker player who is trying to amass the bankroll needed for an up and coming major poker tournament! Maverick was directed by Richard Donner and the leading actors include Mel Gibson, Jodie Foster, James Garner, Graham Greene and the film lasts 127 minutes. 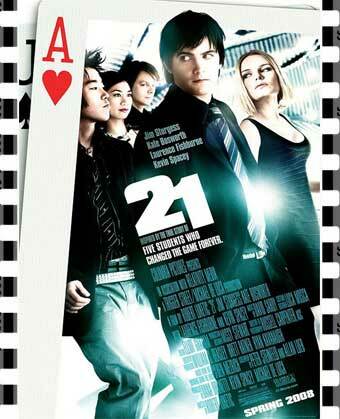 The eight best gambling related movie is 21. This film premiered in 2008, and tells the story of six MIT students who have mastered the art of card counting then set off to Vegas to ply their newly found trade! The film 21 was directed by Robert Luketic and the leading actors include Jim Sturgess, Kate Bosworth, Kevin Spacey, Aaron Yoo and the film lasts 123 minutes. The ninth best gambling related movie is Owning Mahowny. This film premiered in 2003, and tells the story of a bank manager who being something of a gambling addict gets access to a customers’ a high valued bank account and then goes wild with the contents of that account! 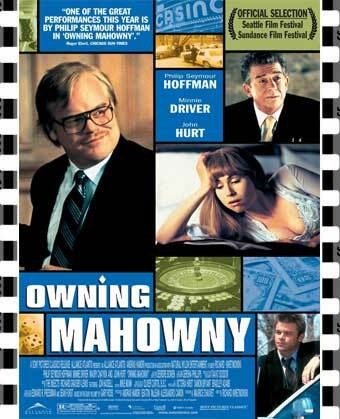 Owning Mahowny was directed by Richard Kwietniowski and the leading actors include Philip Seymour Hoffman, Minnie Driver, John Hurt, and Maury Chaykin. The tenth best gambling related movie is A Big Hand for a Little Lady. This film premiered in 1966, and tells the story of a gambler who places wagers he cannot afford to pay and a comical set of situations then arise! 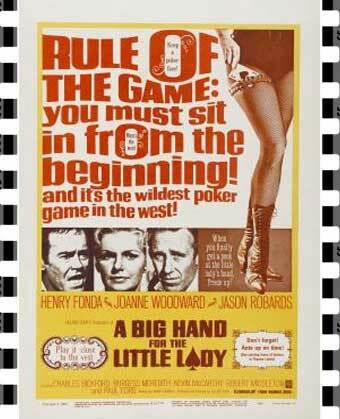 A Big Hand for the Little Lady was directed by Fielder Cook and the leading actors include Henry Fonda, Joanne Woodward, Jason Robards, Paul Ford and the film lasts 95 minutes. We hope you enjoyed this listing of gambling related films and movies, and if you fancy watching any of them then you will find plenty of places online where you will be able to either buy a copy of the films named above, or you may be able to watch them via You Tube or one of the many different subscription film streaming websites.